Heavy Rain Driving Safety Tips — Adverse weather conditions present unique challenges for drivers on the road. From affecting driver capabilities to vehicle maneuverability, stability, and traction, this can significantly impair the flow of traffic and increase the risk of an accident. Knowing how to adjust your driving when the weather turns south is essential for keeping yourself and your loved ones out of harm’s way. According to the U.S. Department of Transportation Federal Highway Administration, nearly 5.9 million traffic accidents occur on average each year. Of these accidents, 21 percent or 1.2 million, are attributable to inclement weather conditions. Roughly 418,000 victims suffer traumatic injuries, and 5,000 are killed in weather-related collisions annually. Plan your route ahead of time before driving in the rain. This means giving yourself more time when leaving from home for school, work or appointments. If your regular commute runs through ditches or low-lying underpasses prone to flooding, consider taking the freeway instead. If the markings of the road are covered by water, it may be in your best interest to postpone your plans. Moving water on the roadway is unsafe to drive on as it can cause vehicles to lose control with as little as three inches in depth. Safety starts before you hit the roads. Ensure your vehicle’s equipment is in working order to help identify any issues before they cause an auto accident, such as your tires. Check the tread depth of your tires and make sure they are properly inflated, including your spare tire. If your tires are wearing prematurely and unevenly, you may want to have your vehicle’s alignment inspected by a trusted mechanic. Your main goal should be to maximize your visibility before encountering foul weather. Worn windshield wiper blades and dirty windshields can compromise your visibility. 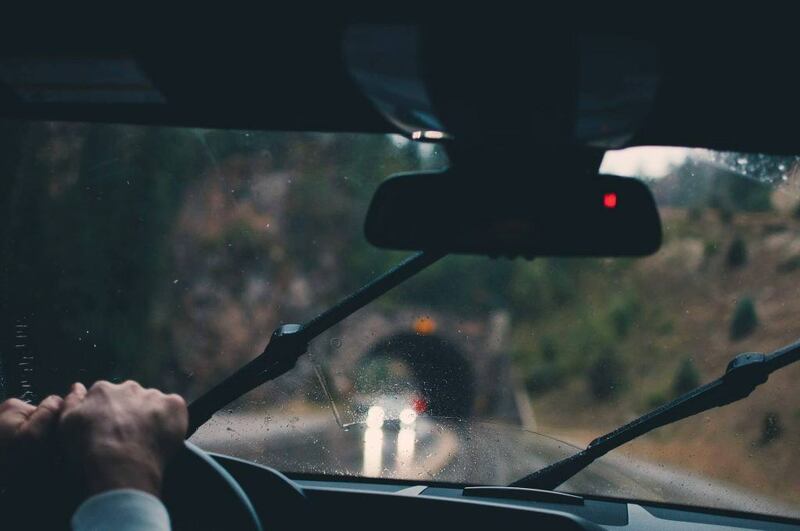 Regularly cleaning the insides and outsides of your vehicle’s windows and windshield and replacing your windshield wiper blades as needed can make the difference for driving safely in the rain. Headlights must be turned on when driving in poor weather conditions such as rain or fog. Do not turn on your high beam lights as they may cause light to reflect off water droplets and impair your view of the road ahead. If your headlights are yellow or hazy in appearance, this may cause them to shine less brightly. In these instances, consider having your headlights restored by a professional to remove discoloration and haze to improve your visibility. Motorists face limited traction when driving in heavy rainfall. Reducing your speed can help increase your ability to respond to roadway hazards and decrease your potential for losing traction. Allow a safe following distance between your vehicle and the vehicle in front of you to give yourself ample time to react in the event of sudden braking. Avoid using cruise control when driving on wet roads and be alert of spray coming off oncoming vehicles and passing trucks. Minimize distractions such as texting on a cell phone or fiddling with the radio at all costs. To learn more about driving safely in the rain, watch the following YouTube video by the California Highway Patrol (CHP). The chances of an auto accident increase significantly in severe weather. Whether it is fog, rain, or snow, motorists are expected to adjust their driving and exercise due care. Those who fail to do so not only put their own lives at risk but can also endanger the lives of others around them. 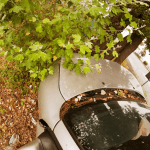 If you or a loved one have been injured in a weather-related accident due to another driver’s negligence, contact an experienced personal injury attorney in Modesto for assistance. I’m Ed Smith, a Modesto car accident lawyer. Even the most cautious drivers can find themselves involved in a serious weather-related accident. If you or a loved one has suffered injuries in an accident due to the negligence of another driver, I am available to provide you with free, friendly legal advice on your situation. Please call me anytime at (209) 227-1931 around Modesto or toll-free at (800) 404-5400. I belong to the Million Dollar Advocates as a member of California. Browse our Verdicts and Settlements page to see how we resolved cases in the past for our clients.